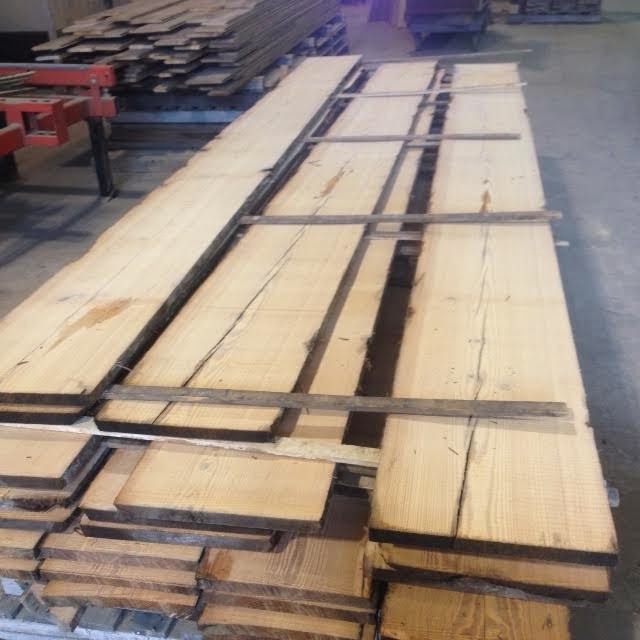 Oak, Tables, Heart Pine, & Mantles! 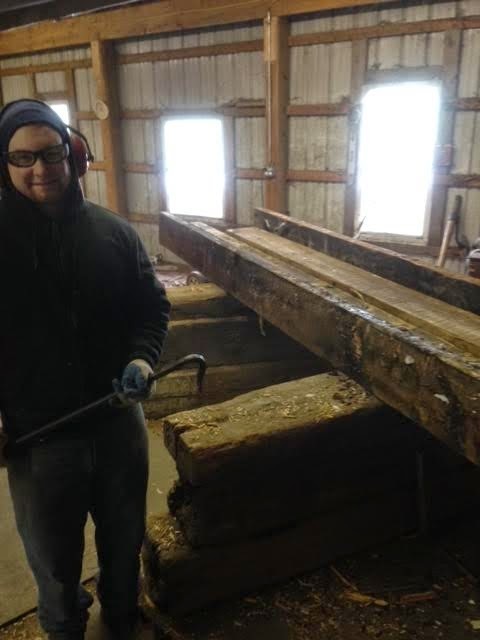 Do you remember a few weeks ago I talked about some beams that we got from a barn that was in a fire in Manheim, PA? 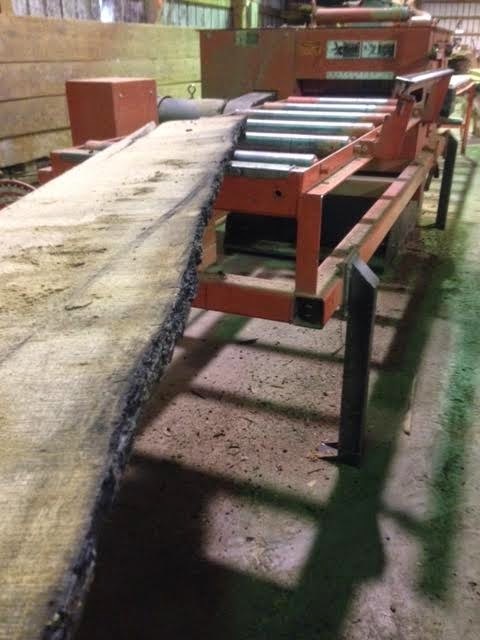 Well, those beams are currently being turned into flooring for order #9647! 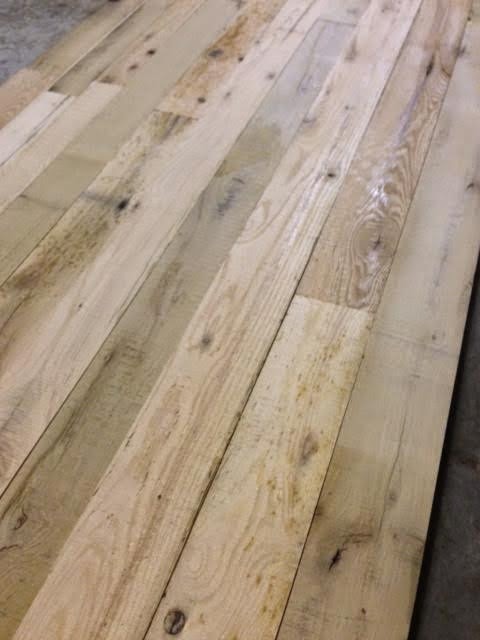 They have been sawn and dried, and are now being edged and finished! 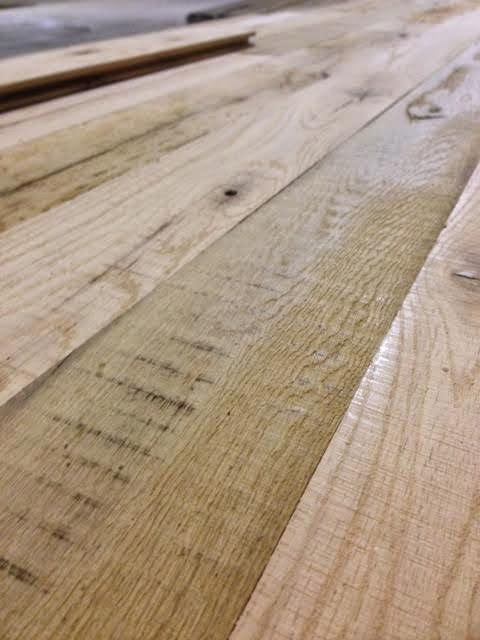 This floor definitely comes with a story. Do you live in or near Lititz? If so, you have to go check out Zig’s Bakery when they come their new location in Lititz! While you are enjoying their wonderful food (there rolls are my favorite! ), you can sit at a beautiful table! 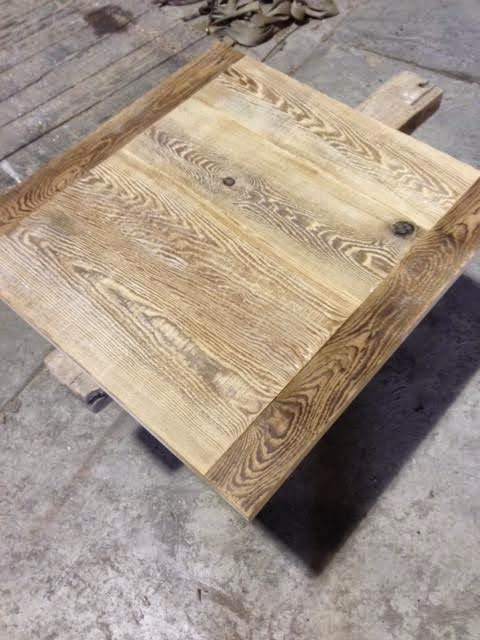 This is the first of many tables that are being made for their new location. We can not wait for it to open! 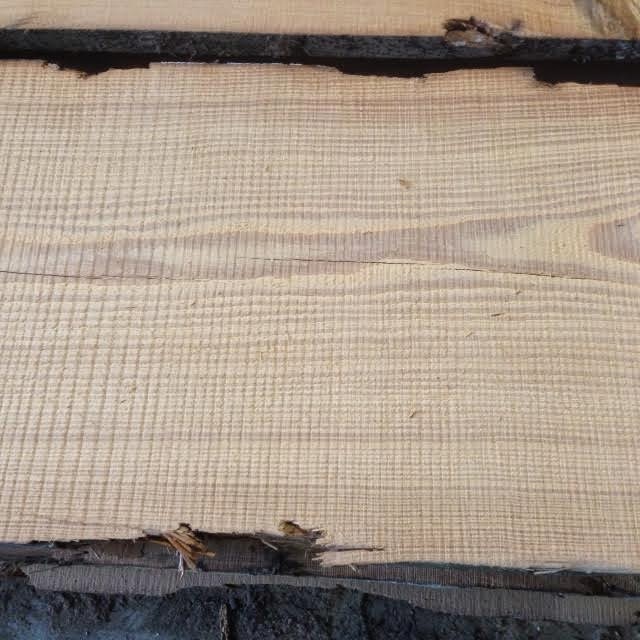 This tabletop is done being built. It just needs finished. 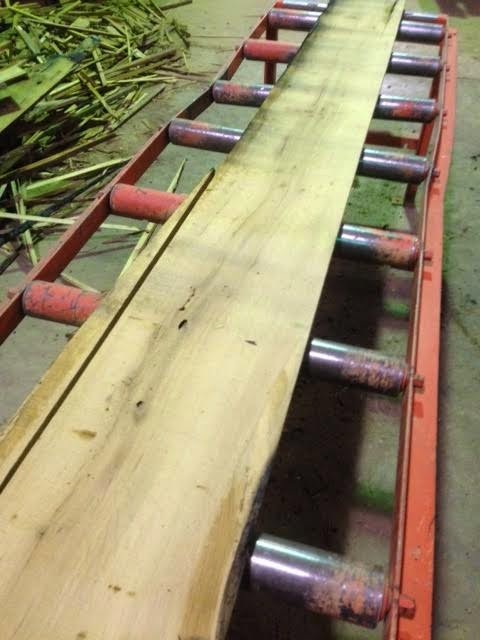 This week we have also been working on cleaning and sawing beams for order #9668 for Heart Pine Flooring. 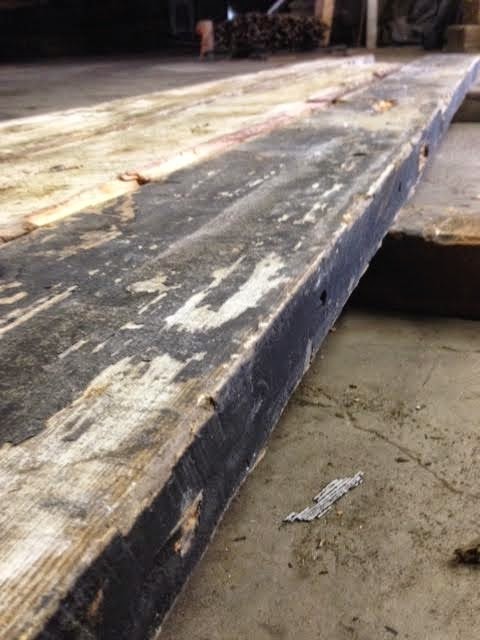 These beams were removed from a building that was built at the turn-of-the-century up in Massachusetts. It looks gorgeous! 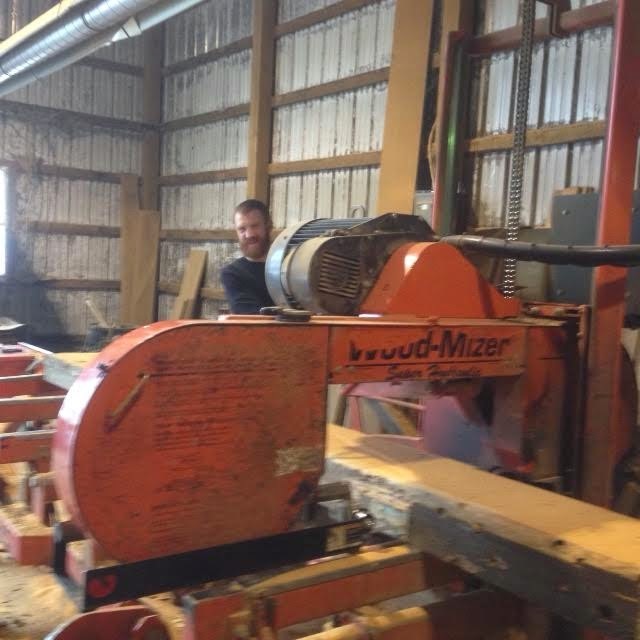 Jordan is cleaning the beams. In other words, getting all the metal out of the beams. 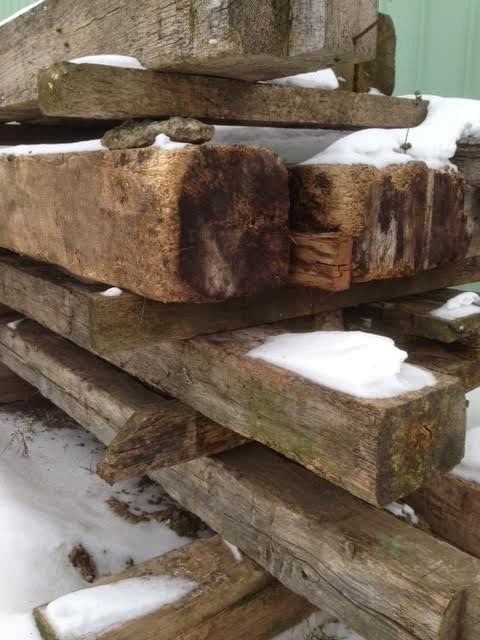 Clean these guys up a little and make them a great focal point in your home! 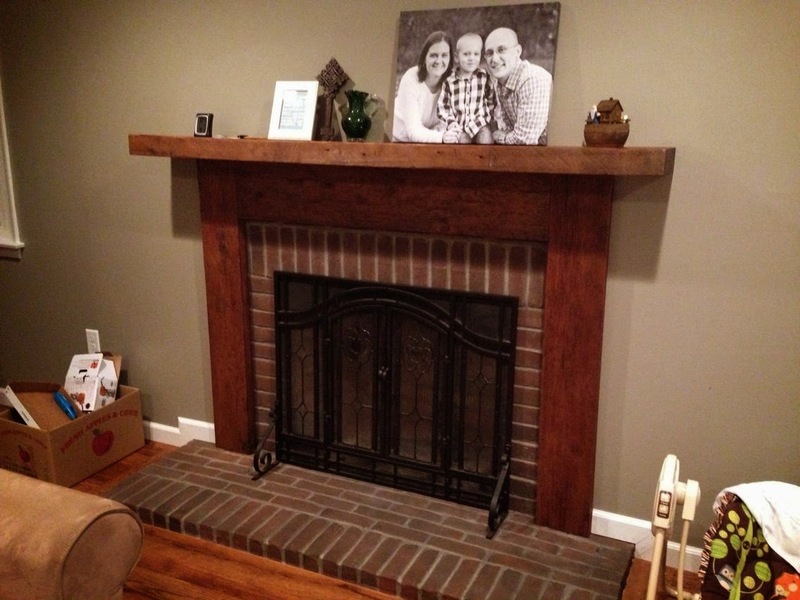 We love when customers send us pictures of their finished projects! Tag us using the hashtag #sylvanbrandtcontest on Facebook or Instagram for your chance to win a $200 Visa! Posted in Uncategorized on January 29, 2015 by sharp_admin.